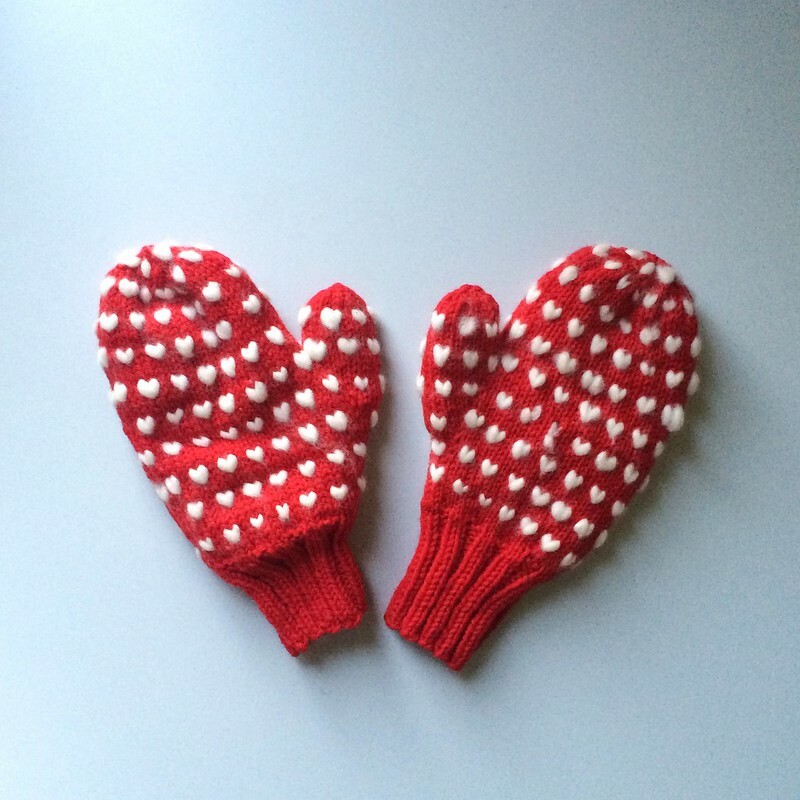 Remember these thrummed mittens I made two years ago for Valentines Day? I’m thinking of making another pair–this time with perhaps navy blue thrums and a gray main color. 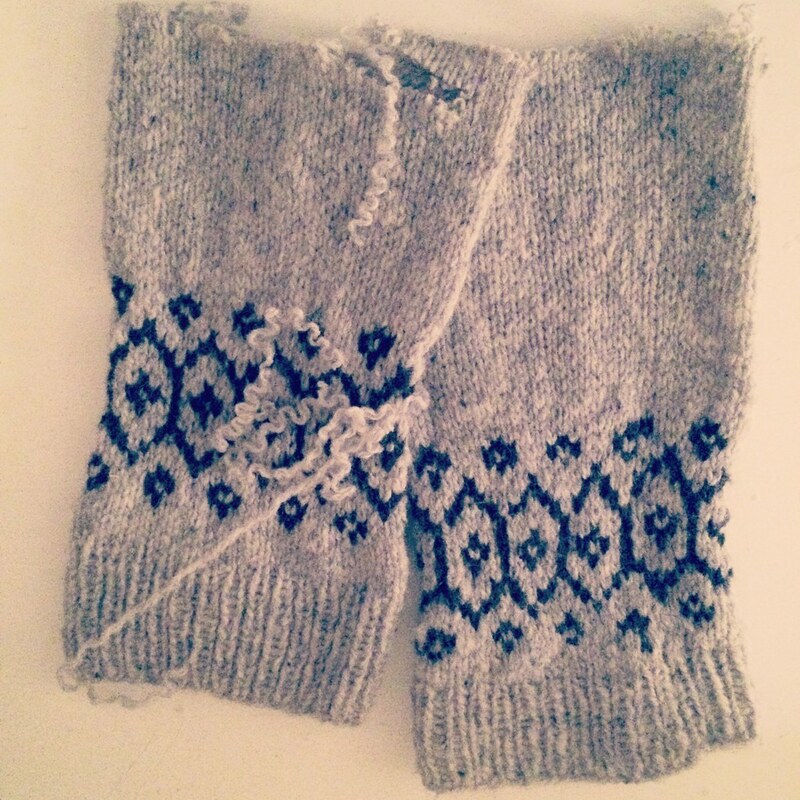 See more snaps of my thrummed mittens (including the cozy insides) here. 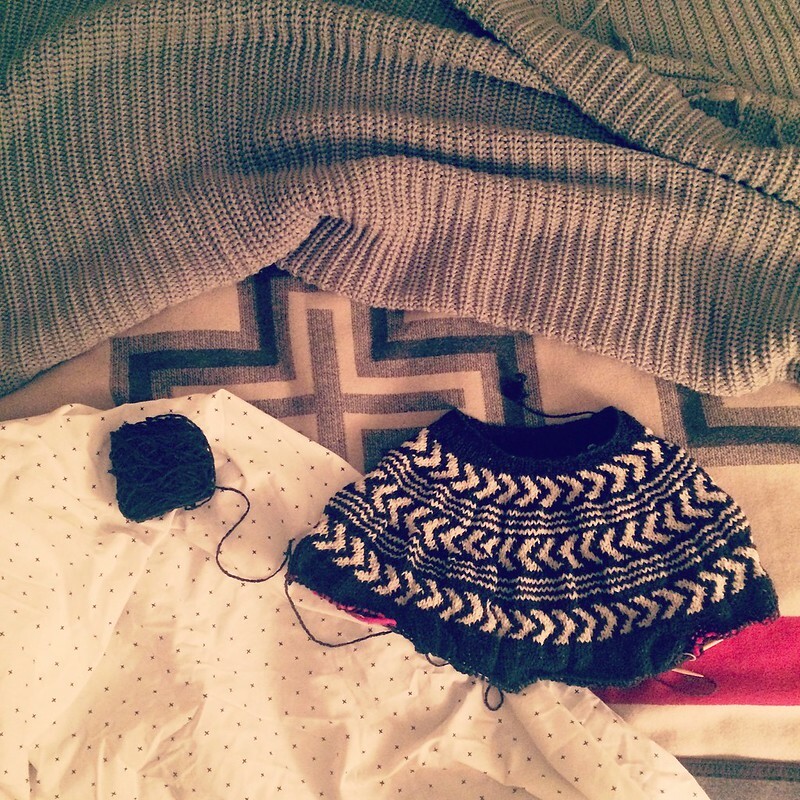 Two ferociously cold nights here in Boston meant early to bed with blankets and books and knitting projects, of course. After those two nights, I have a fair isle yoke, already divided for the sleeves and body, completed. I’ve knitted the Chevrons sweater before for my mum as a Christmas gift last winter. This time, I decided to use Brooklyn Tweed Shelter in cast iron for the main color and fossil for the color work; the contrast of the black and the bone is amazing and I’m loving everything about this new version. I’m hoping to get a substantial part of the body done tonight, but I’ve got to pack for my Thanksgiving vacation, too. Here’s to hoping I can finish it this weekend so maybe I can start the Willard Fair Isle Pullover with that gorgeous Owl yarn just waiting for me. 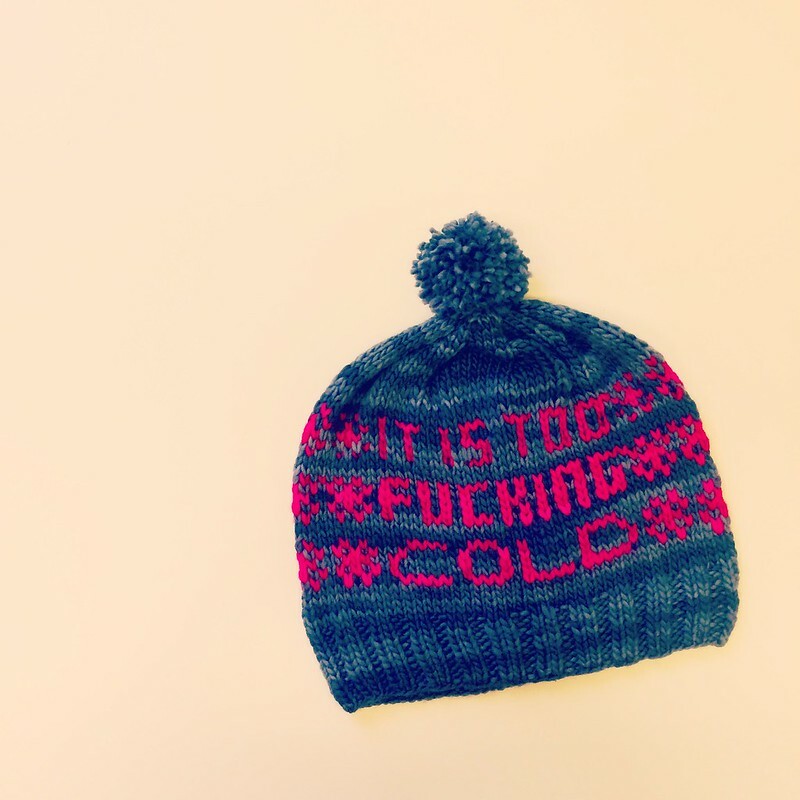 This hat was really quick to knit, and already, tons of friends are coveting one of their own. I made some modifications to Brook Taylor’s Winter Blues hat, namely a 2×2 rib at the bottom, no changes in color over the colorwork chart, and no hearts, just snowflakes. I also went down two needle sizes because I could tell it would be too large and slouchy on my head if I didn’t. The end result is perfect. Knit using leftover skeins of Manos Del Uruguay Wool Clasica in the petrol colorway and some Malabrigo Merino Worsted Merino in very berry for the colorwork. See my notes for the project here. I have a feeling I will be knitting a whole pile more of these in the coming weeks. 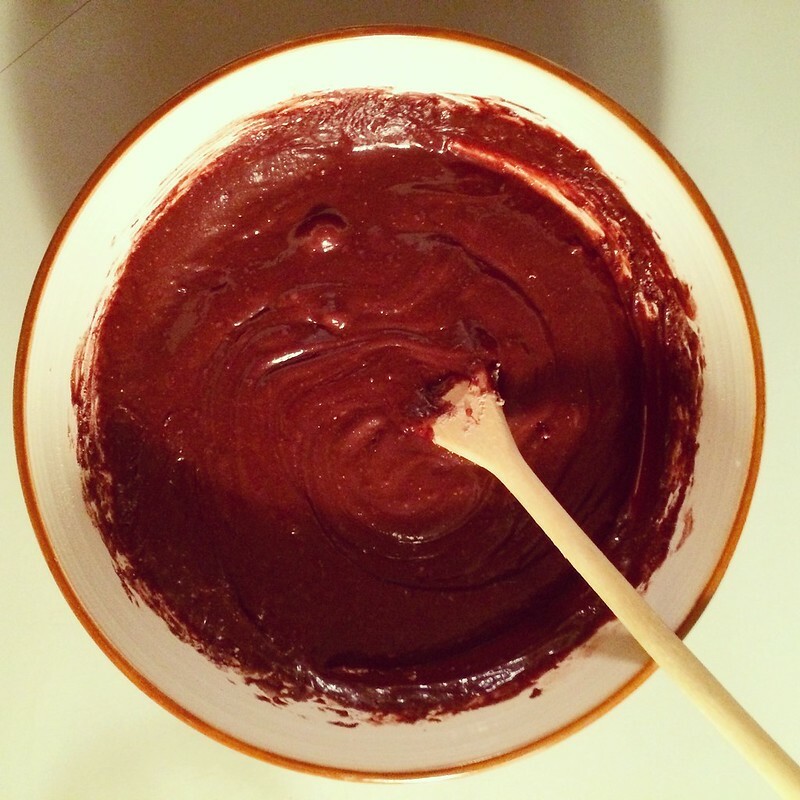 Some rainy, cold November nights, you just have to whip up a batch of brownies. My mum is an amazing person. She recently took me on a trip to Portland to visit Knit Wit, a yarn shop I’ve been dying to patron. 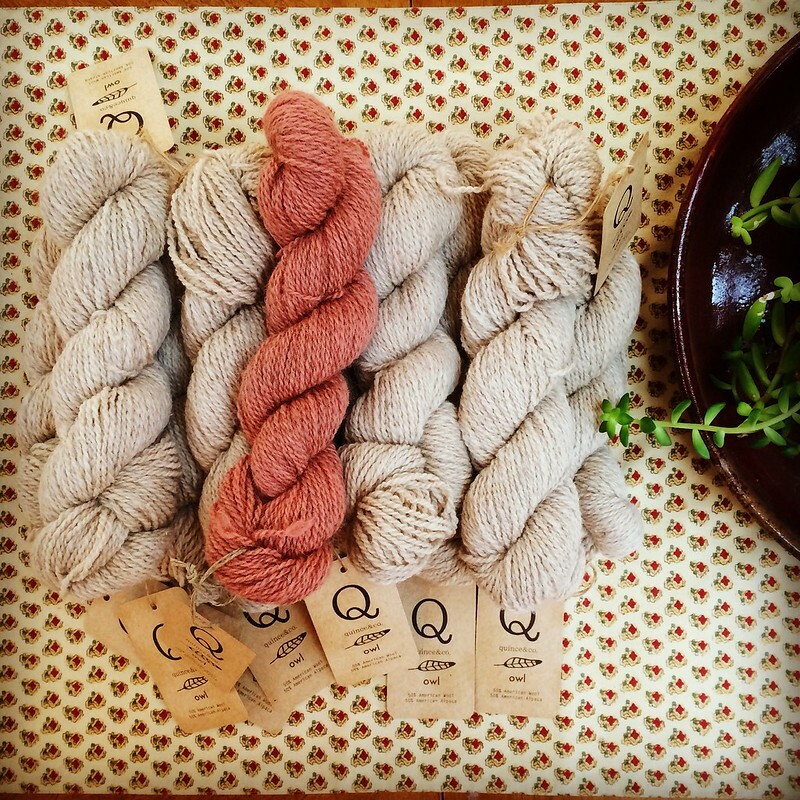 And on top of that, she bought me 10 skeins of delicious Owl yarn by Quince and Co (a Maine-based yarn company whose flagship in shop sales location happens to be this store) for a pattern I’ve been wanting to knit from Hannah Fettig’s Knitbit Yoked collection. This is tyto for the main color and canyon for the detail to make the Willard Fair Isle pullover. Eventually, I’d like to knit every sweater in the collection. They are all gorgeous, as are any of Hannah Fettig’s patterns. What do you plan on knitting this winter? From my sketchbook this week. 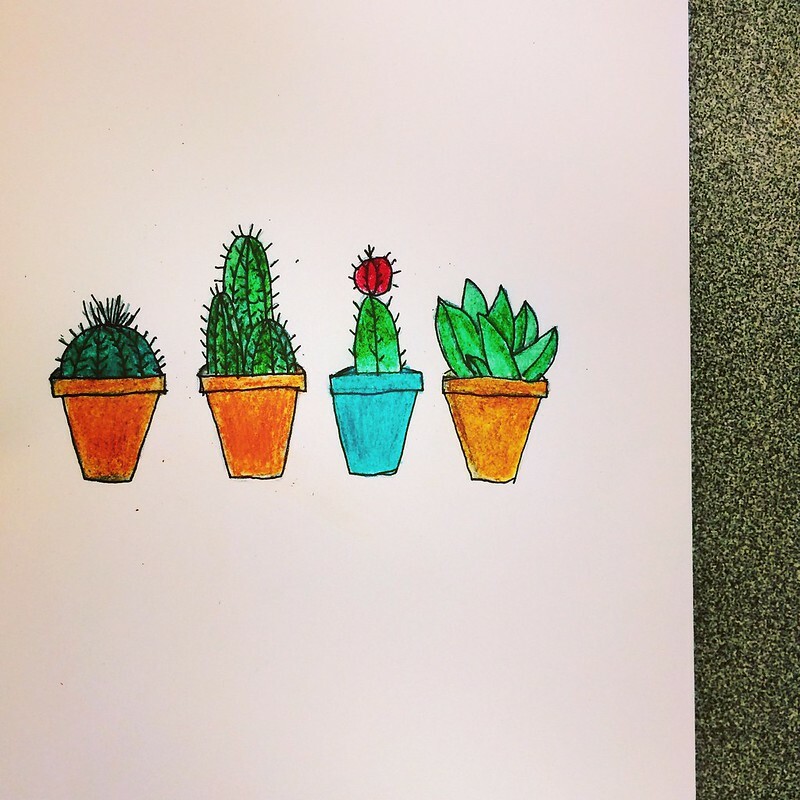 An assortment of cacti and succulents. I’m nearing the finish line on my Laight Street Wrap, which has taken kind of a back burner to some more pressing projects–including Christmas gifts and new baby gifts. I think this is going to be one of the coziest knits I’ve made for myself. And today, was our first snow. It seems like perfect timing. What are your coziest knits? 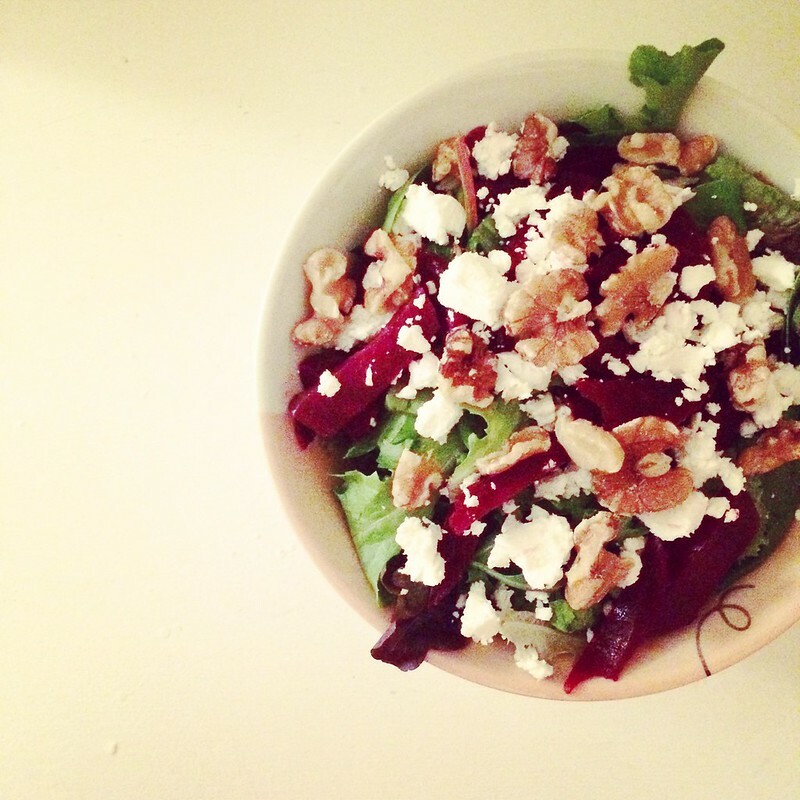 roasted beet / chevre / walnut. Sometimes, I opt for really simple, no cook dinners. Roast your beets ahead of time, and you’re ready to go. I made a blush wine vinaigrette to go on top of the spring greens. This is a dream pile of Brooklyn Tweed Shelter in cast iron colorway for the main color and some fossil for the colorwork on the yoke of a sweater I’m soon to cast on for myself. I’ve made Chevrons before for my mum. And now it’s time to make this amazing sweater for myself. 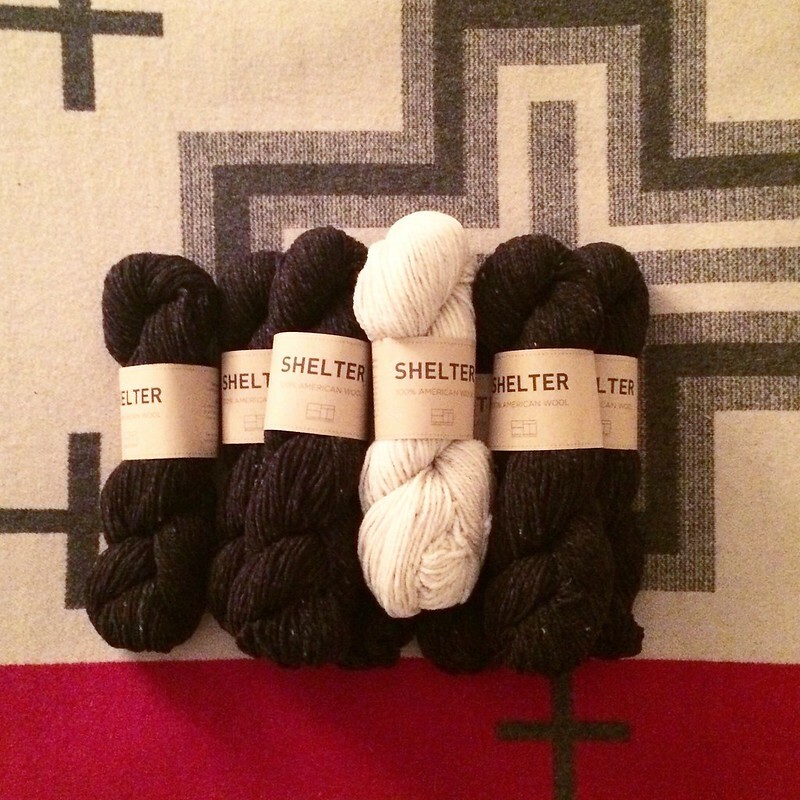 There’s nothing better than a pile of yarn delivered to your door–especially yarn for a project you’ve envisioned for yourself for ages. Here’s my other version of Chevrons. You should knit this sweater. It’s so easy and quick and comfortable. As in previous winters, I really feel like Brooklyn Tweed yarns are my favorite winter yarns to use. 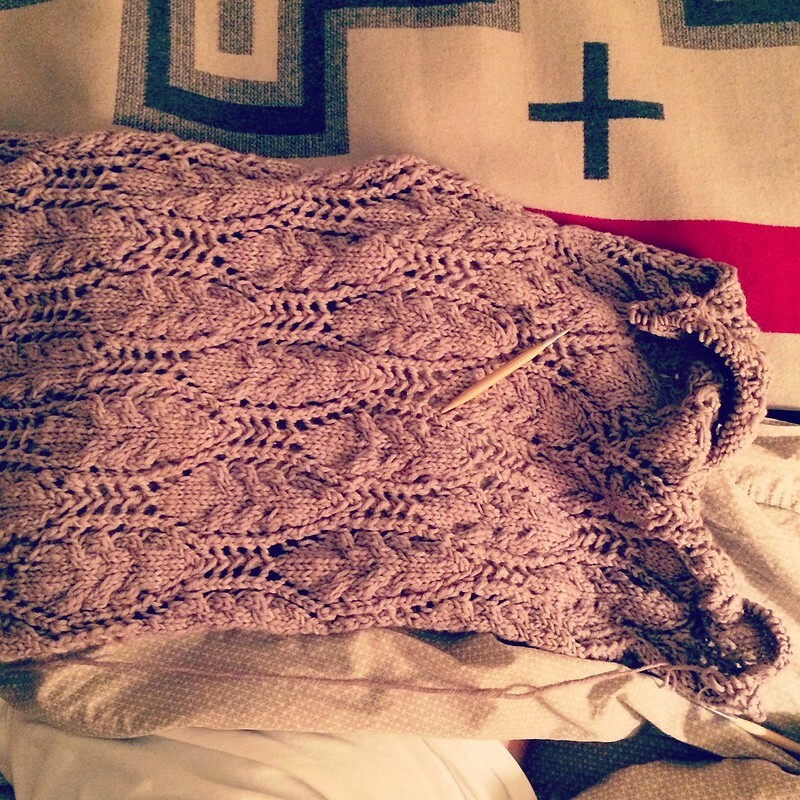 Taking scissors to the blood, sweat, and tears of a finished knitted garment may be the scariest thing I’ve ever done. But, it had to be attempted on my Stasis Pullover, which when all was said and done, came out beautifully, but had the longest sleeves known to man. I couldn’t wear it and fake it, even if I tried. These were no reinforced steeks my friend. Approximating where I actually wanted the colorwork on the cuffs to fall (wrist length, not 6 inches past my wrist and hand), I took my scissors right to each of the sleeves. I don’t recommend this for novice knitters, but if you’ve been around the block, understand your garment, understand your stitches, and feel confident to snip and pull and grab hanging open stitches with spare needles, give this a whirl. It works wonders for fixing garments that are too long, even bottom up–you just knit the opposite way down the sleeves and you can’t tell at all. Finished snaps of my Stasis, now properly fitting, to come soon. For now, there are a few snaps of it here. I love to go to bed early; its my jam. At night, with little distraction, and plenty of quiet, I can read, knit, or in this case, stitch. Lately, my goal is to get back to long neglected projects and get them finished. This includes reknitting the length of some sleeves on my Stasis Pullover (which I completed almost a year ago but had sizing issues for my short arms, to which I will blog later), and this delicious cross stitch pattern I procured whilst visiting my guy on a mega camping trip through the southwest in August. 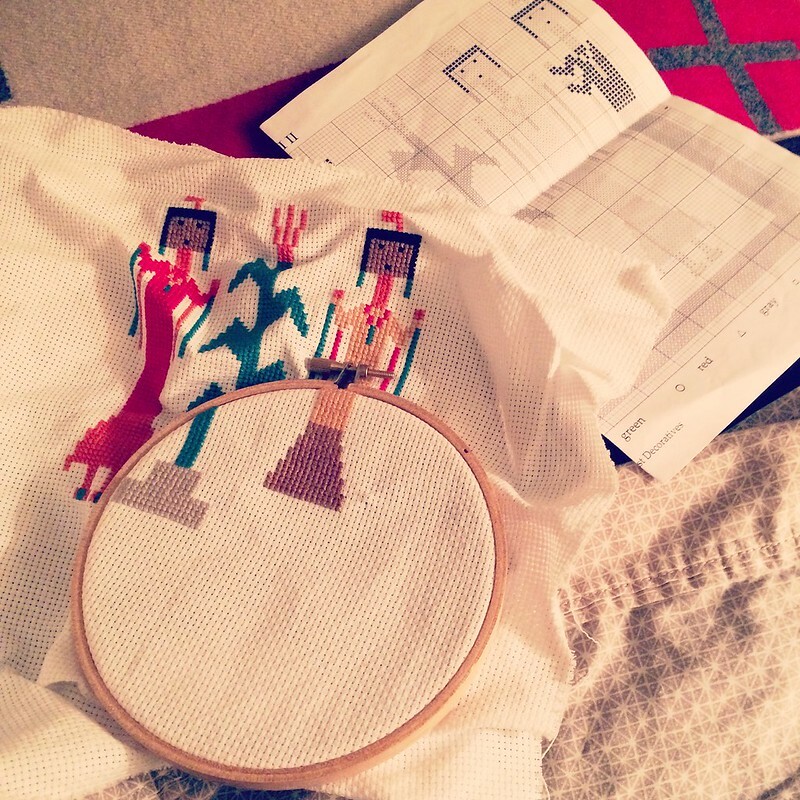 These Yeis are so fun to stitch; very rewarding. I can’t wait to finish this. 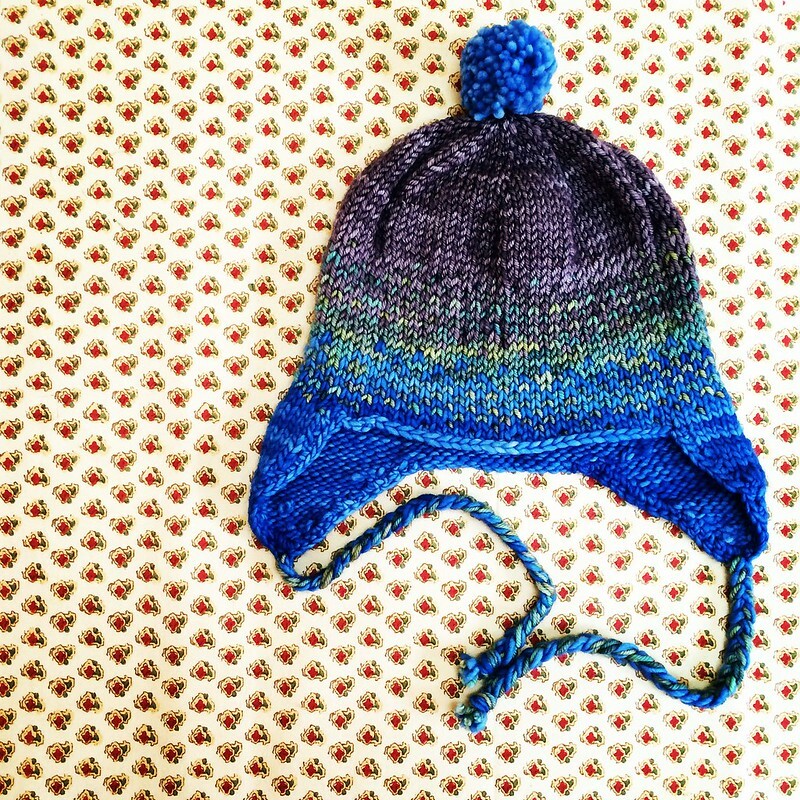 This is the third Frosted Alpine hat by Tanis Lavallee that I have completed. I love this hat more than any other baby hat I’ve made because it is perfect for a newborn, a toddler, and quite frankly, I’m thinking about making the adult version for my guy. It’s so versatile and quick. I can knit one of these for a baby or toddler in one evening. So satisfying! Plus, it’s a great stash buster project. You need very little worsted weight yardage in three colorways; and I certainly have plenty of half skeins from leftover projects laying around all the time. The combinations can be endless. Make one of these for a future baby in your life–for a friend, a family member, yourself even! This one was knit up using leftover bits of (from top of hat to bottom): Madelinetosh Tosh Vintage in composition book gray, Tanis Fiber Arts Green Label Aran in lucky penny, and Malabrigo Worsted Merino in continental. Here are some other versions of my frosted alpine. And the notes on this most recent one I made for my nephew, who is 2 1/2.